Whether you are just entering into the pet sitting and dog walking industry or been here a long time like me (17 years!) I bet you wonder about the state of the industry and where we are headed. You might wonder if all businesses are like yourself? What the effect of Rover and Wag will have on the industry as a whole? I bet you wonder if you are making enough? 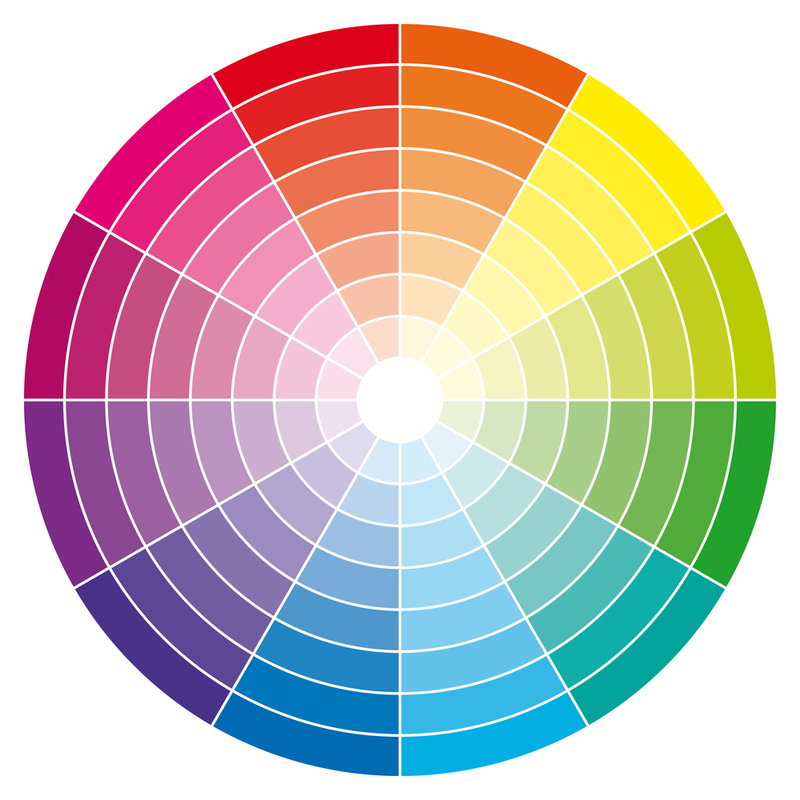 What the “industry standard” is and how you measure up? I also want to know what you think as you read what I am about to write so please, comment below or on the original post and let’s have a conversation about where YOU think the industry is going and how we can help shape it. But first… I must put out there that like attracts like. 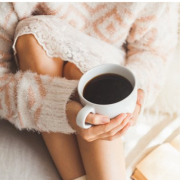 With everything I will say, my findings MIGHT be skewed only because the type of sitters I have been lucky enough to attract are real go-getters. They are business builders, get knocked down 7 times and get up 8 types of people. They fail and learn from it. They aren’t paralyzed in fear and they tend to have a great group of support around them. They are about efficiency, processes, and systems. So here I tell you – my thoughts and insights are shaped by these incredible business owners and what I have personally witnessed as possible. They are my inspiration and hope for the pet sitting and dog walking industry’s future. According to Mintel, pet owners are spending 86 BILLION dollars on their pets. When I first started in the industry the surge was from the Baby Boomer segment, now it is transitioning to Millennials. This is a very important change that is necessary for any pet business owner to acknowledge. 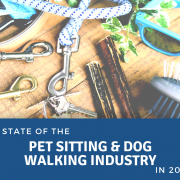 The buyer habits and behaviors have shifted with technology and the independent pet sitter and dog walker need to take notice. Did you know that 3/4’s of 30 something-year-olds have pets? While American’s might be holding off longer to have children, as many pet professionals know, pets are often the “first child” before settling down and having two-legged children. The consequence of this is a huge market share that doesn’t like to talk on the phone, wait for responses back, and loves to do everything on the phone. Passive websites are a thing of the past and the buyer journey has to include the buyer as an active participant. This is a huge point that we need to understand. There is a major shift in the way people research and purchase goods and services and it is something every pet business owner should reflect on how they are shifting to this change. Want to learn more about this change? 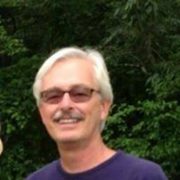 One quick search on bizbuysell.com and you will see that there are many pet sitting and dog walking businesses all over the country up for grabs. I feel like I have a front-row seat because many investors call me and ask to help them evaluate the business they are interested in purchasing. 1. With Rover and Wag making a splash… I see some companies that are just rolling over and giving up on the business. Believing that it is too hard and that they can’t compete. 2. Our industry is growing up. No longer are we in the infancy stage like when I started my own company back in 2002. We are all grown up. Some business owners that started 10, 15, 20 years ago are ready to get out and as a result, they are selling. 3. The pet industry is booming and year after year becoming larger and larger. Investors see this and are willing to take $100K or $200K out of their retirement to purchase a business that they know they will make their money back in about 1.5 yrs. 4. 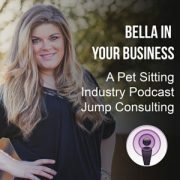 Pet sitting and dog walking business owners are looking to scale fast and one of the best ways I see them doing this is acquiring other businesses. It is how Chunsoon Li, Randa Clark, Crystal Hammond, and Mark Shaver are doing it. 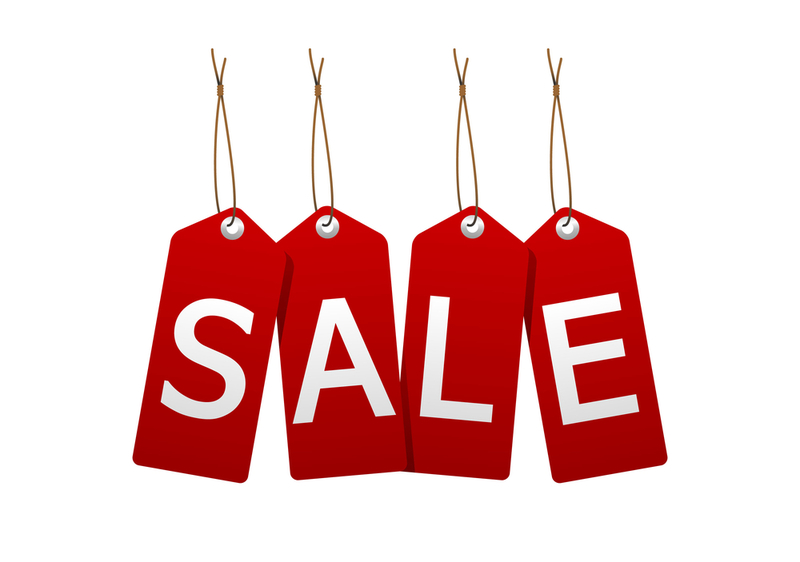 Want to Learn More About Buying and Selling Your Business? This is one that excites me and here is why. I know that as a pet sitting and dog walking business owner, you dislike all the irresponsible Rover and Wag pet sitters. 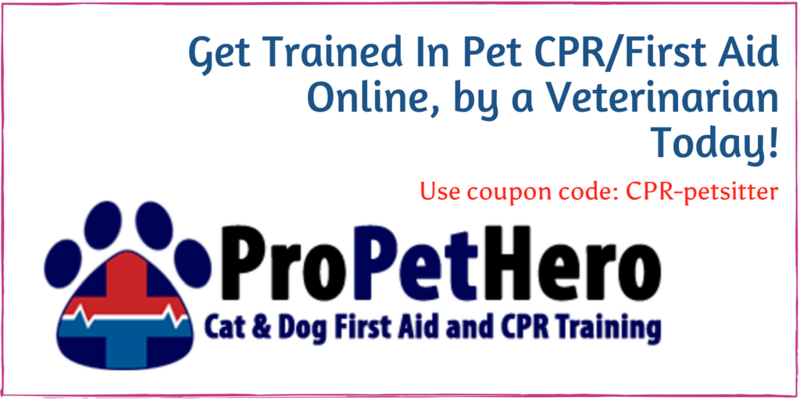 It is undeniable the number of accidents and pet deaths they are bringing along in addition to undercutting some pet sitting businesses prices. Although it is important to remember that not all of them are bad and there are some responsible sitters on those apps. In fact, if I were to start my business today… and not really known where to turn, I just might have listed my services on there too. 1. They have raised $310.9M in ten rounds of fundraising. That is insane! What they can do with that money shows in their national print, TV, and social media campaigns. What they have essentially done is educate the entire USA about our profession and that we exist. I feel this is a major reason why our industry has spiked in the past two years. 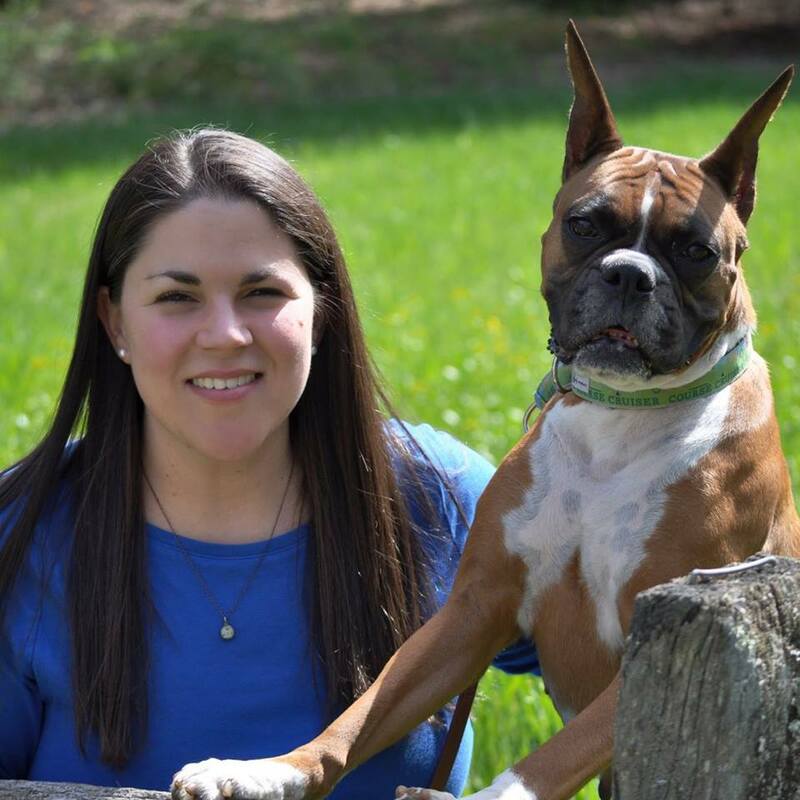 Like it or not, they have educated the market on what a pet sitter does. 2. Rover is a technology company. 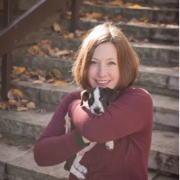 They have encouraged many professional pet sitters to get software of their own and whether anyone believes it or not, I really think they have helped raise the bar when it comes to the user experience and being able to “go digital” and sign up online. Study after study shows that the user wants to be involved more and more in the process and Rover is giving that to them every time. 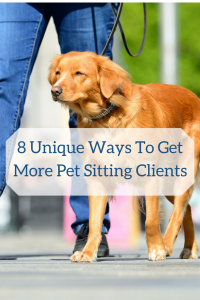 Professional pet sitters are increasing this trend by allowing their prospects to sign up with them online and get a leg up on their social media by using video and all the incredible tools we have access to. I see a lot more professional pet sitters and dog walkers really caring about their social media presence and website now and really stepping it up notches! Gone is the time of a basic Wix website that you create yourself for a top rated and performing digital storefront. 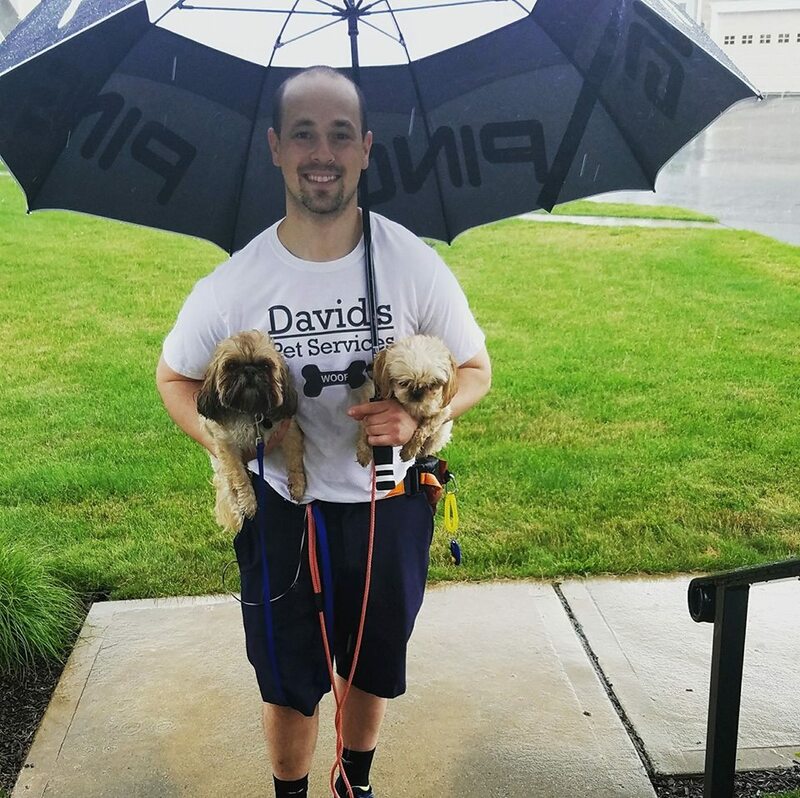 From “How much does a pet sitter cost in CITY” to “Pet Sitter reviews in CITY” I believe that Rover and Wag have gotten the public to think about this with their top rankings in most cities. They got the public to wonder about this and then they start researching online. Where I see some professional pet sitting and dog walking companies fall short is by not answering the Big 5 on their website. 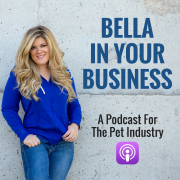 Marcus Sheridan explained in great depth on my podcast, Bella In Your Business what the Big 5 are. One of my clients was able to take her brand new website from Barketing Blog and get to to the #1 spot of one of the most competitive markets in just a month because of this strategy I told her to use. 4. More people than ever are starting pet sitting and dog walking businesses. Initial thoughts by the defensive business could be “Great! 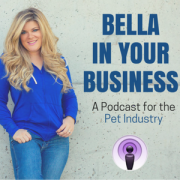 This means more competition, Bella.” Although if you realize that 6 out of 10 households have pets… there really is more than enough to go around and it fills the gap of those who need cheap pet care. Ok, so that might not have been what she meant, but many startups do start very low and don’t have the impeccable customer experience that I know your business already brings. So in essence… this gives you a reason to have the top-notch prices in your area. 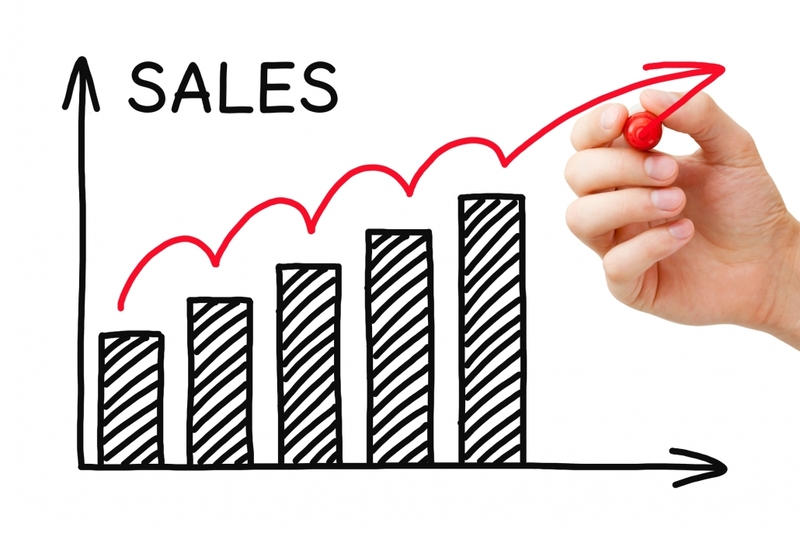 You also should keep in mind that only 50% of new businesses last more than 5 years according to the Small Business Administration, which helps add businesses to the selling market and goes to show that you shouldn’t be comparing your well-established business to that of a startup who probably isn’t even charging enough to stay in business in five years. A necessary evil that happens when something gains popularity, like the pet sitting and dog walking industry, is that it draws attention. Regulations are popping up all over the country making it harder and harder to just do whatever you want when it comes to your business. Minimum wage is going up in many states, therefore, affecting many overnight services. Accumulated sick day pay is happening in many states causing business owners to factor in this extra pay. Many cities are putting limits to how many pets can be under one roof. Some states are being required to pay for cell phone usage like California and Illinois. 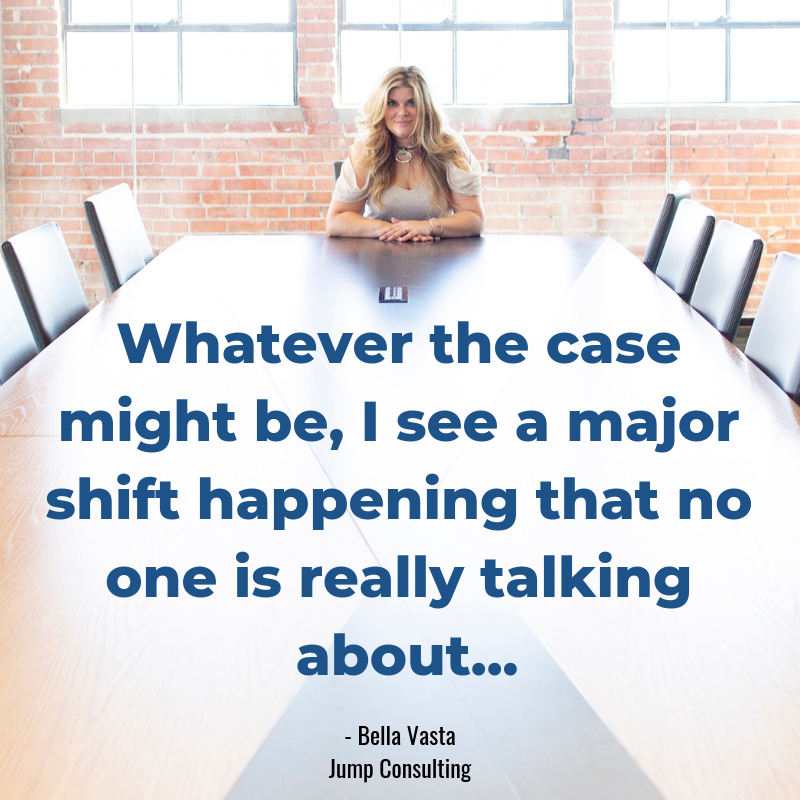 A massive tidal wave is happening where business owners are reclassifying their sitters from ICs to Employees. They are realizing that the safest way to grow is with employees, and the only attractive way to sell one day is with employees. It is because of this interesting shift that we are working hard behind the scenes on a major project for all of you looking to switch from ICs to Employees in 2019. Pet Sitting And Dog Walking Businesses Are Growing At The Fastest Rate Ever! It is equally exciting to see people hiring multiple people at a time instead of just hiring one person at a time reacting to an open position they have in their company. Another change I see is that when people move out of their territory, they are keeping their old territory and running it remotely while opening up a new one. Or, they don’t relocate but just open up a new territory to expand their kingdom. Some members in the Jump Mastermind have hit their last year revenue by mid-2018 while others have figured out membership modules that are just increasing their profits. It is really so exciting to see all the ways businesses are flourishing, despite what some naysayers might say about the tech companies. Pet care companies that use software have the benefit of increased productivity, with their time being spent on the money-making aspects of the business instead of performing tedious and repetitive tasks. For larger companies, this can lead to the need for fewer office employees, while for smaller companies you may have more free time. Allowing clients to add their own information and schedule not only saves you time, but it also lowers the frequency of errors as the client immediately sees the same thing that the company sees. To be taken seriously online in this industry you really need two things: A great website and that website to be connected to the software. As millennials come into the largest buying power, they want to do things online. They want to have an experience online that solves their problems and doesn’t take forever. I am happy to say that I am starting to see pet sitters finally invite the viewer into the process on their site. They aren’t just talking at them or creating an online brochure, but really speaking to their avatars, solving the unique problems, and inviting the viewer to take action that will make them feel like they are able to check “pet sitter” or “dog walker” off their never-ending to-do list. Some are even starting to show-and-tell. They are finally starting to show the consumer the experience they will have on their cell phone when service is being provided. 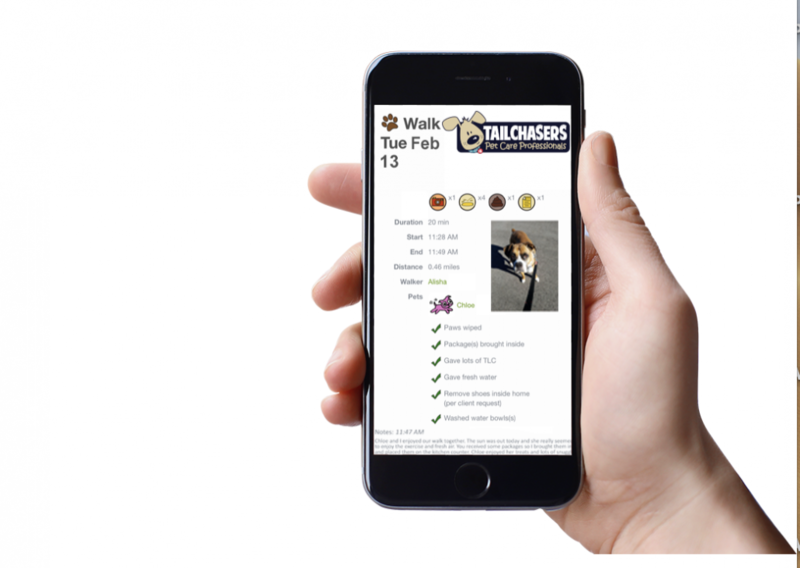 Whether this is IG stories, FB Stories, showing what the updates look like, sending a GPS map of the walk, only using GPS tracked collars… pet sitters are keeping pace ever-changing technology and it is becoming a real disruptor in their local markets. Companies are going to get even larger and things like benefits will become more and more talked about. The middle sized businesses will shrink slightly because they will get burnt out, stall out, sell, or on the opposite side… grow bigger. Companies will start to develop their own software apps specialized to their own companies and going outside the mainstream industry choices. More regulations coming down the pipeline for the proper classification of workers will be coming as our political climate continues to heat up, causing more companies to switch from ICs to employees. Online user experience is going to become one of the most popular selling features and is what will really start to set companies apart online. In the past it was a blog, software, or video… but this is all the “norm” so it will be important to have all that AND a great online user experience. How Can You Achieve All Your Dreams With No Sunlight? We have all seen the experiment online where one plant was ignored and told negative things and another plant was given attention and spoken positive messages too… right? In this experiment, the negative comments plant wilted and the positive comments plant flourished. Your brain and your business is the same exact way. 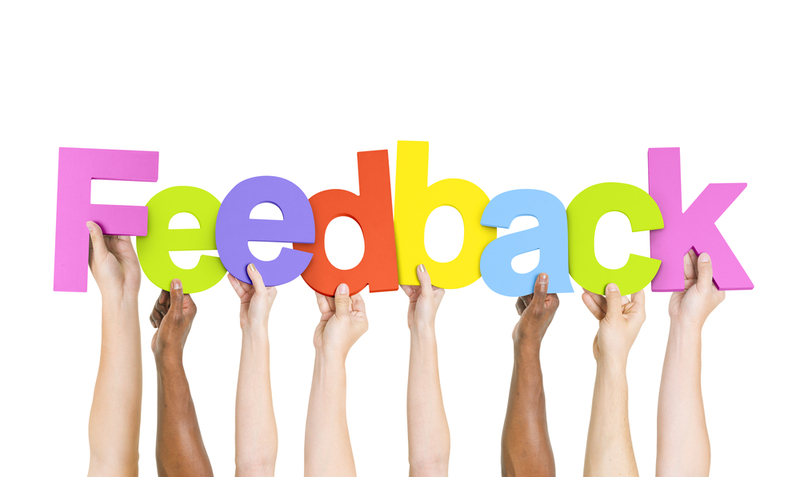 In order to achieve what you want for your business… you need to surround yourself with those positive comments. Surrounded yourself with people checking in with you daily and giving you encouragement and there to guide you. 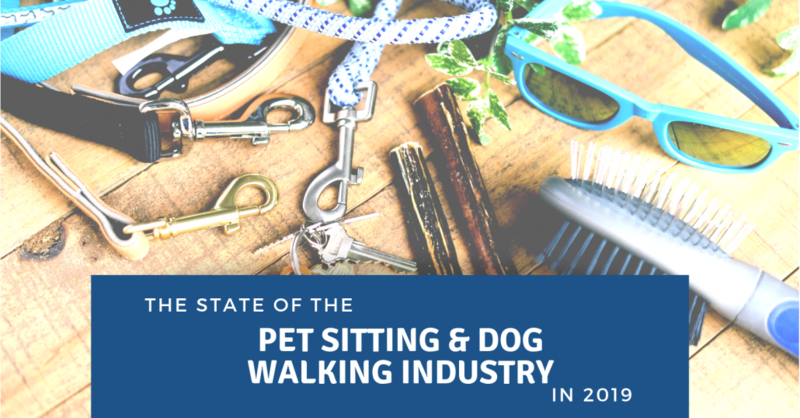 The pet sitting and dog walking industry isn’t going to get easier as it grows. It will become more cutting-edge, more innovative and larger. Where many used to strive for a six-figure company… more will be striving for a seven-figure business. I am already seeing it happen and I am excited to be cheering you on. Comment below, I would love to hear what you think. Tell me what I might have missed, what your predictions are, or if you think I am off my rocker! 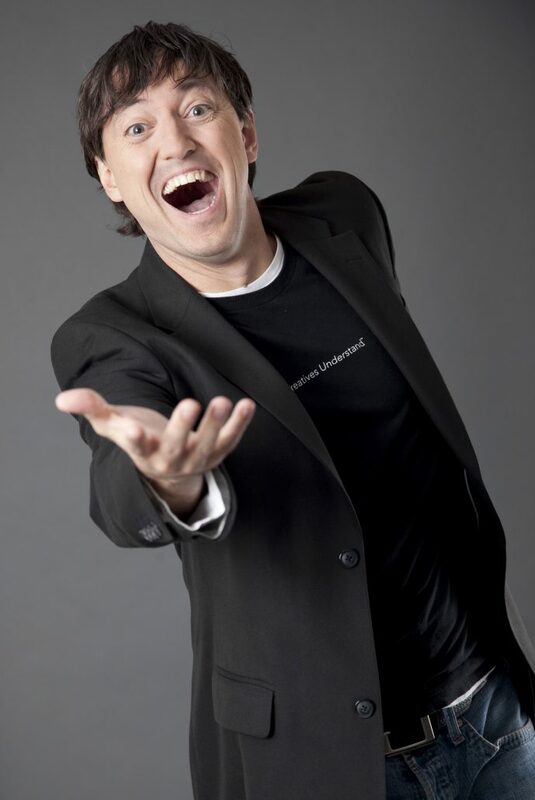 *haha* What has been your experience and where do YOU want to be in 2019 with your business? How do you plan to achieve it all and what changes have you seen in the industry? As our industry grows, we are no longer in the infancy stage. In 2018 the industry is expected to earn 72 billion dollars with 6 billion being in the pet services sector. Pet sitting companies that were once run my mom and pop now are full-fledged business needing to hire a manager to help run the entire operation. 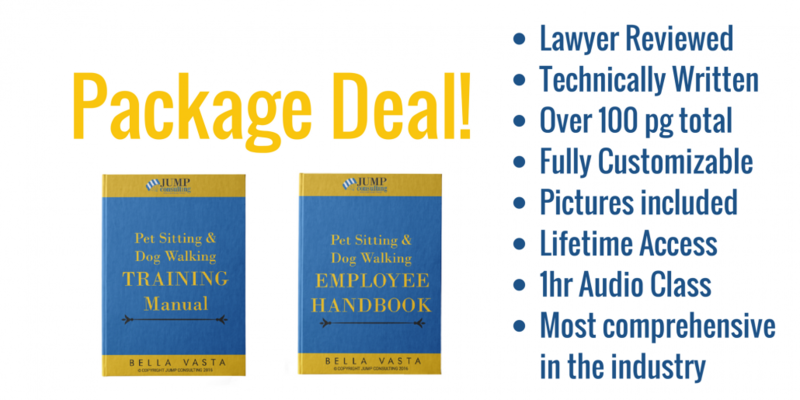 You are reading this because you too need to hire an office manager for your pet sitting or dog walking business but face the challenge of so many questions. Today, I am going to answer them all in the most comprehensive blog post to get your tail wagging! Can I Even Afford To Hire A Manager? Obviously, I am not sitting next to you right now, looking over your financials so what I will say is this: Can you afford not to? Do you think that your business can keep growing with you doing all the scheduling, bookings, charging, social media, public events, triaging client and staff problems? Wouldn’t you like to take a nap in the middle of the day? Have regular family dinners at home at a sensible hour? Not feel like you are running ragged all day and night? The answer to this question is only one that you can answer, but I would venture to say that if you are reading this now, we can find a way. Most pet sitting and dog walking office managers make between $10-$15 an hour. If you have the Pricing Structure and Strategy Guide, you will understand that this money can come from the 30% that is allocated to the business. This is how I encourage lots of my clients to start. I tell them to start handing the business over on Friday through Monday because those are the days where you typically have minimal calls and volume. It is a great way to start off. This will also help you (and them) gain confidence in the position. Some businesses pay by the hour, while others pay per the day because the volume is so unpredictable. This would be a full-fledged M-F gig where you pay someone by the hour and let them do it all. It could mean 30 hours a week or more and they would be your right-hand person and the first line of defense. Sort of like a gatekeeper. Some businesses pay a flat salary, while others pay by the hour. How Do I Train An Office Manager? When you hire a manager it is going to be a big learning curve for you, the business owner, who does this every day. There is a good amount of prep work that you will have to do and that would include creating an office manager manual where you write down all the systems and procedures that you do in your business. 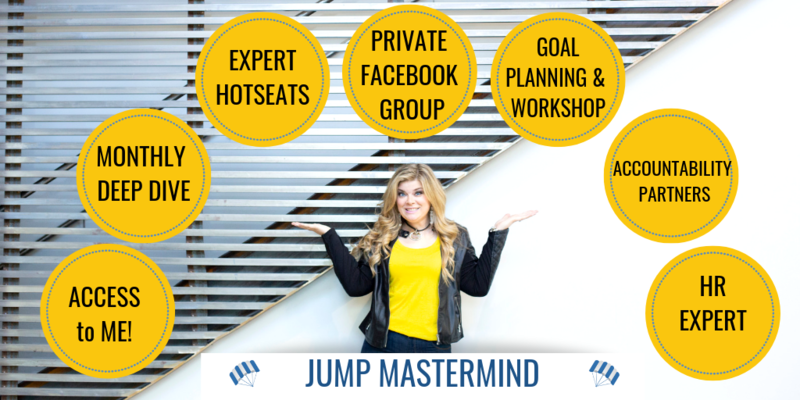 I have a great system that I have shared on video inside the Jump Mastermind that has delivered great success to many businesses. This can often be the toughest part of the task because we tend to get long-winded and either over or under explain what needs to happen. It is important that you have a system in place to test your instructions. How Do I Know If The Office Manager Does A Good Job? One of the most common mistakes I see people make is being a micromanager. Or, as one of my friends call it a “helicopter CEO” You don’t ever want to be like this because it will not create a long-lasting relationship with that manager. They will think you don’t trust them and quit. Rather, consider systems that help promote smooth back end workings. 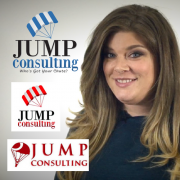 For example, I have a great video inside the Jump Mastermind that shows you a google spreadsheet that tracks all the calls and emails that come in from new clients. From this small sheet that takes 30 seconds to fill out, the office manager and the business owner are able to be on the same page. No phone calls required. At any moment both the manager and the business owner can see who has called, what the outcome was, and even what the close rate is. After all, you will want the manager you hire to have a BETTER close rate than you already do. What Do I Do When A Manager Doesn’t Do A Good Job? At some point during the relationship with your manager, something will fail where they, or you, fall short of expectations. It is important to acknowledge that this will happen so you aren’t blindsided when it does. How you handle it makes all the difference in the world. First, examine if it is a people or process problem. Was the process there and the person just didn’t follow it? Or was there no process there and they were clueless about how to proceed? Once you can identify this, rectifying it all will be easier to maneuver. There is a big difference between a system and a process so narrow down which it might be and tackle that first. Where Do I Find An Office Manager? I wish I could tell you that there is a spot where all the qualified applicants hang out, but I can’t. I can say I have had clients with great luck on Indeed, Craigslist, and through my partner, JazzHr which basically posts on 15 job boards for you and helps weed the applicants out so you are only left with the creme de la creme! I would also consider hiring from within because they already know your business. Whoever you decide to hire, they need to have strong communication and organizational skills. I would consider putting them through the Orion test and a background check and making sure that all your processes were running smoothly before bringing anyone else on board. You might not knock it out of the park the first time, but you will eventually. Who knows? Maybe it will be love at first sights and it just works? Like any relationship, this one takes time. It takes a lot of understanding about how to delegate, give instructions, and then fall on your own sword when maybe you didn’t give great enough instructions. Being a boss is tough. It isn’t all glamorous but having an office manager is the one thing that will really help take your business to the next level. It will take things off your desk and give you room to breathe (first), and then work on growing your business. 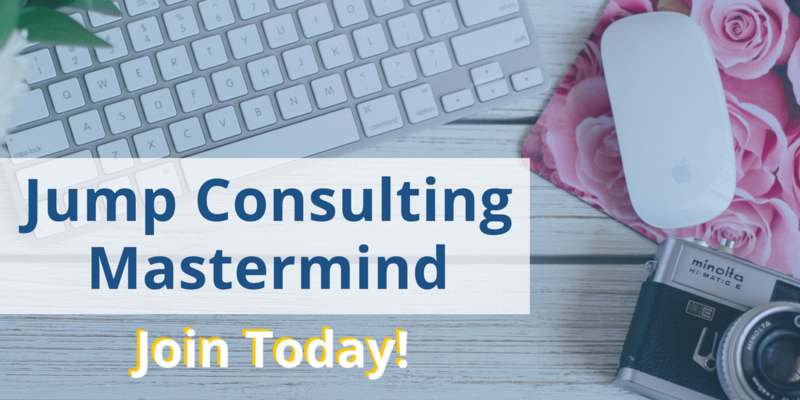 If you need a group of people around you to support this endeavor consider joining the Mastermind. To date, I believe there have been at least 12 office managers hired… so far. So you would be in great company! 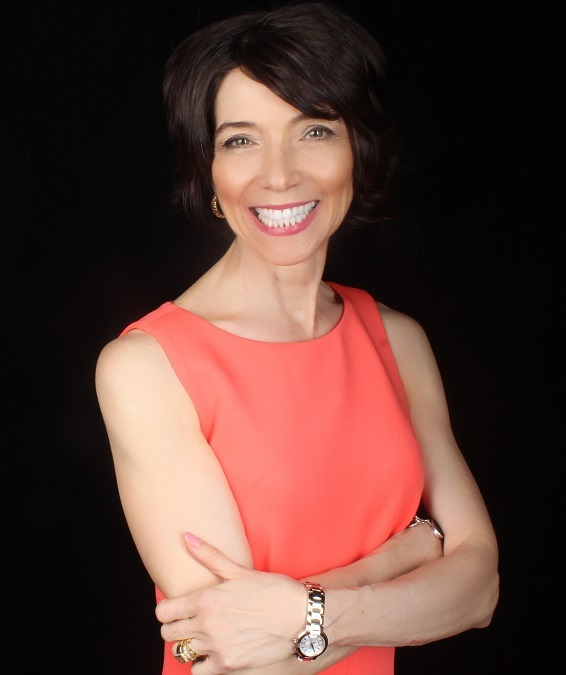 Bonnie Roill is a “Lifestyle Architect.” Her boutique private practice, B3 Nutrition, specializes in helping women develop their customized blueprint for eating, moving, and daily habits that create a “livable and health-generating lifestyle.” Bonnie’s background includes a practicing Registered Dietitian Nutritionist for over 35 years along with accreditation as a Hormone Support Coach, a certified Health & Wellness Coach and Personal Trainer. Her mission is to teach women how they can impact their health destiny through their food, focus, and feet. Her vision is a world where women have the resources to control their health destiny no matter their age or where they live on the planet. The number one thing people don’t understand is how to fuel their body properly. You have to fuel your body to have energy. If you don’t, you will have an insulin rollercoaster which gives you a drop and results in cravings. People need to eat in the morning to start the engine then properly fuel throughout the day. The lunchtime let down will definitely affect how you feel later in the day. Your bio-individuality (your unique situation and genetics) does play a factor, so sometimes you may still feel sluggish no matter how healthy you eat. However, you shouldn’t feel like you need a nap every afternoon. Your circadian clock can work against you. 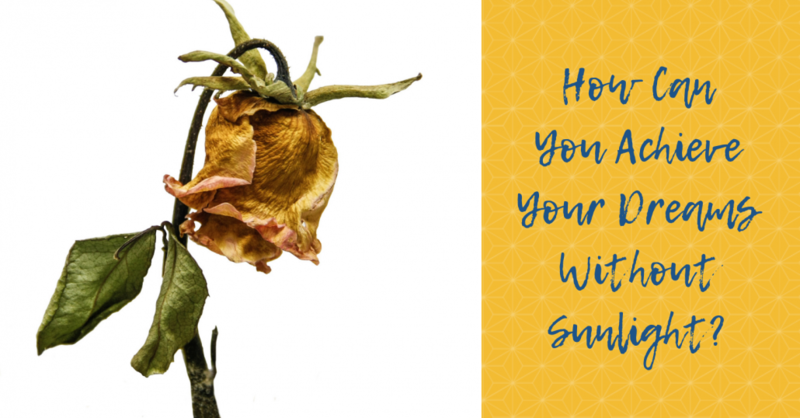 Natural sunlight helps serotonin which is a natural pick-me-up. What should you eat and drink? The best food is fiber containing carbs such as root vegetables like carrots and beets. Fiber slows down digestion which helps regulate your blood sugar. And don’t forget your protein for energy and a small amount healthy fat (ex: avocado). We also need water, lots of water! Often hunger is mistaken as thirst. A cold glass of water can energize you and also increase your metabolism. 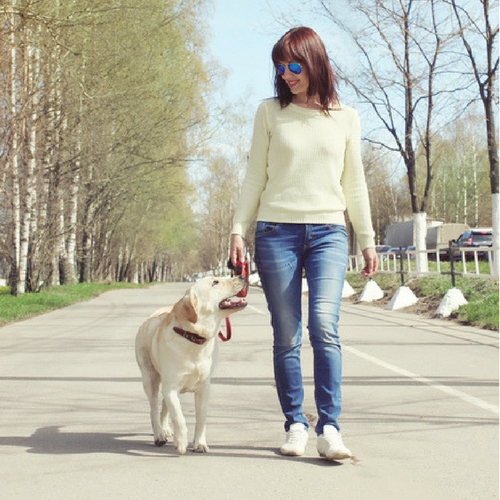 Does dog walking count as exercising? One problem is that you don’t get your heart rate up to the level you need, but the fact that you’re getting out and about is very helpful. You can easily be meeting the minimal requirement for exercise. But if you are trying to lose weight you will probably need an extra boost of exercise to go along with the walking. Resistance training is a great way to amp up exercise for weight loss. Women often don’t realize their obstacles that are often anchored in our habits. 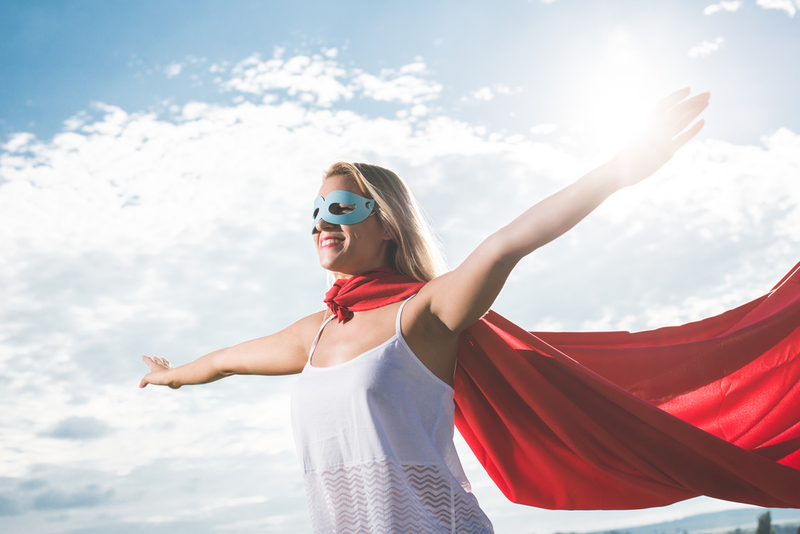 Medical history, eating habits, medications and thought processes are all the root of figuring out what is stopping you from feeling your best and bringing your best to your business. Sign up for the session at www.B3Nutrition.com under the header Free Consultation. It takes about 30 minutes. 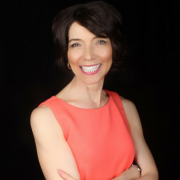 Share my free breakthrough session “Eat Clean(er)*Feel Great* Look Awesome, including my Hormone Profile Self-Assessment checklist. Also, sign up for FREE 5 Strategies for Success Slimming. Since my last post on credit card processing and pet sitting software companies, I have gotten lots of questions about how credit card rates are determined. I know it is a taboo topic we don’t often talk about. The purpose of writing this is to be able to use it as a resource again and again. I take personal responsibility for everything I publish, and genuinely want to help every business become educated on a messy and confusing topic. That’s why I haven’t written this alone. I am not the authority on merchant services, also known as “credit cards” in our Facebook forums, so I decided to go straight to the experts I know, like, and trust. Tiered Pricing vs Interchange Plus Pricing? Since the post of my recent blog where I shed some light on what was happening with credit cards and one pet sitting software, I was asked a few questions. 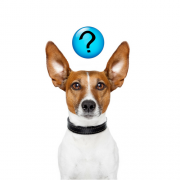 The most popular was, “Do the people I work with offered a tiered pricing program or do they use the Interchange Plus Pricing model?” This pet sitter was hearing that the Tiered Pricing Model wasn’t the best choice. I thought it was a great question so I reached out to my contacts and spent 20 minutes on the phone learning about what determines credit card rates and taking notes for this article. This is when a company creates buckets and all cards fall into one of the buckets. Each bucket has its own percentage and that is what the card will be charged. Some buckets make the credit card company more money and some buckets make the company less money. The customer who is charging the cards will only see as many rates on their bill as how many buckets their cards fell into. This is a system where it acknowledges that there are thousands of cards out there. On your statement, you will see a different fee for all cards including the upcharge that the company decided to add onto it. This statement might be a little harder and confusing to look at as the customer but allows cards not to be grouped together. There are advantages and disadvantages to both models. To answer the question I received: The company I work with uses both. It is why looking at people’s statements is so important to see what cards they are already currently charging and then find the plan that best fits them. They gave me an example that a donut shop might have different types of transactions than a hotel and that made perfect sense. Different volumes, amounts, and probably types of cards. You actually might remember that person who I just helped save $8700! She would have saved some by taking the flat 2.9% offer but ended up double because she had the negotiating power with many companies and chose against the software that would lock her into a higher rate of 2.9% causing her thousands of dollars. What a certain software system is trying to claim “you could end up paying a lot more than what they courted you for” is actually true! Many merchant services operate like this. They bait you with a great rate and then switch or raise you as time goes on. In fact, the one you are with right now, might actually have raised your rates already and you have been too busy to even notice. After all, your payments are probably on auto-deduct, right? What this software company says is true….. if you don’t know where to go. Different businesses will have different trends like the hotel and donut shop I mentioned earlier. It all depends and this is why it is SO important to have someone that you can know, like, and trust walking side by side with you. They should be able to explain credit card rates and fees and even re-evaluate things with you as your business grows. 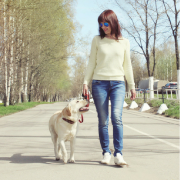 I can easily see how a dog walking company would vary differently than a pet sitting company simply because of the spending habits of their different clients. It is to help you. I have spent ten years in this industry looking through your profit and loss statements, looking where you could increase profits and cut costs. We have agonized on how to pick the best rate to charge so you can achieve your personal financial dreams. We have celebrated and cried together. A business coach with no successful clients isn’t a good business coach at all. So what I am trying to do here is make you successful. Make you keep some of your hard-earned money. 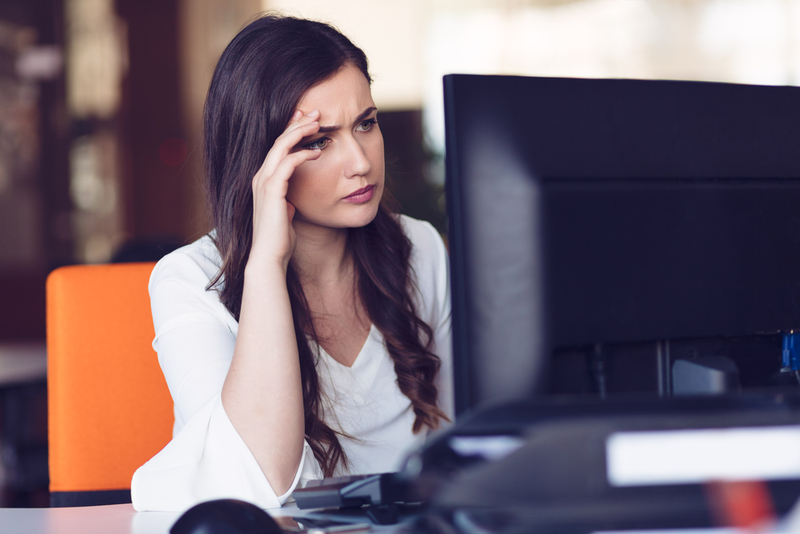 I am trying to encourage you to not procrastinate a horribly stressful and confusing task that every business owner needs to pay attention to at least once a year and let you know that there is help. I am begging you to not just say OK when someone gives you a flat rate without fully understanding the implications of what that really means. It might be good. It might be bad. My motive is to arm you with an education so you can make the best choice for you and that you can literally take to the bank. https://jumpconsulting.net/wp-content/uploads/2017/10/Depositphotos_10324856_m-2015.jpg 667 1000 Bella https://jumpconsulting.net/wp-content/uploads/2018/10/JUMP-CONSULTING-LOGO-2018-2-01-2.png Bella2017-10-04 04:00:192019-01-26 22:07:28How Are Credit Card Rates Calculated For My Pet Sitting Company? It can be a scary moment in any dog walking business when you start to notice a decline in new clients. While dog walking clients are usually consistent in their bookings, there’s no telling when a loyal client may choose to stop service. This is why it’s SO important to consistently have new clients coming down the pipeline. Easier said then done right? 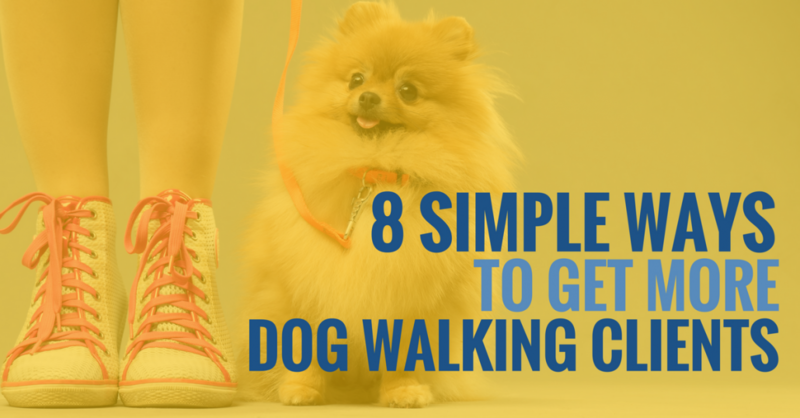 Let’s discuss some of the challenges that dog walking business owners encounter when trying to gain more dog walking clients, and how you can overcome them. 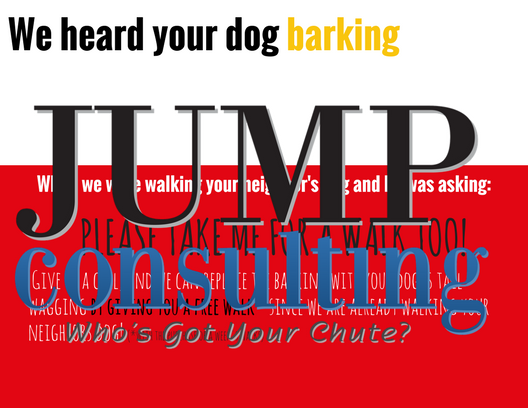 One of the reasons many dog walking business owners aren’t gaining new clients is because they don’t ASK! 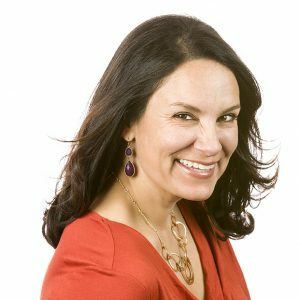 I’m officially giving you permission to overcome that barrier – don’t be afraid to ask for new clients through your marketing! Plus, you want to make sure you’re promoting your business on every platform you have an account for. This can be Facebook, Twitter, Instagram, or other social media marketing. Note that this doesn’t have to necessarily be advertising – you could simply be solving people’s problems via Facebook and then boosting that post for $5 or so. Or, maybe you are sending out email newsletters or writing blogs. Don’t forget to keep track of how much interaction and engagement each platform has, so that you can determine for yourself what the best social media marketing channels are. Keep in mind that with any marketing cycle, you may not see results right away. That’s why I say consistency is key. The more you market and the more you brand, the more your business becomes a household name. Growth takes time, so be sure to stick with one marketing effort for a few months. Track your results, and if you notice that you’re not getting much feedback, change it up! Just allow adequate time for your marketing to run its course, which will help you really determine if your marketing is working. Maybe you’re consistent in your marketing, but are you doing enough (and spending enough)? Marketing is definitely an investment, so you have to be smart about how to get the most bang for your buck. Also be sure you’re investing in marketing both online AND offline. As the saying goes, you have to spend money to make money. Spending your money on marketing is really the best way to grow and scale your business – given that you’re working smarter NOT harder. 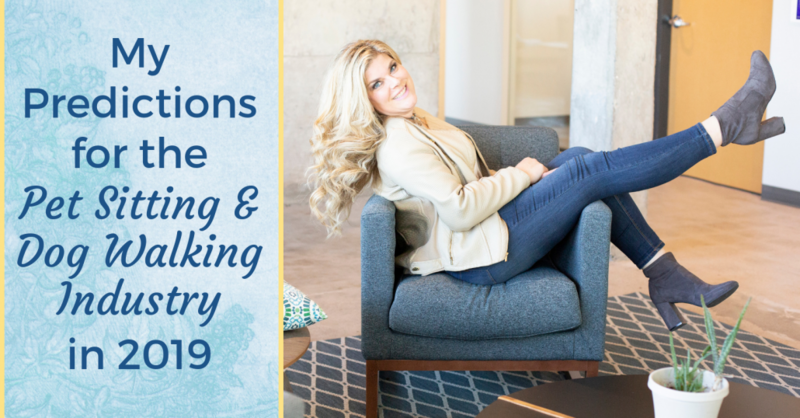 To help you with this process, be sure to check out my one year pet sitting business marketing plan I designed for you. Even more so than money, time can be a commodity you have very little of as as dog walking business owner. I see a lot of business owners that are just so busy in the day-to-day aspects of their business, that they literally have no time to spend on marketing. Don’t let this be you! Design systems and processes to prevent this from happening. When you are being buried by your business, you absolutely NEED to make sure you have clients in the pipeline to stay afloat. Remember those Facebook posts, email newsletters, and blogs I mentioned above? I recommend writing a batch at once and then scheduling them! Almost all content platforms have a scheduling feature now – so take advantage of it! But if blog writing, email writing, and Facebook status creation isn’t your forte, let me do it for you here through my Better Marketing With Bella Program. Okay – so I think we’ve established that gaining new dog walking clients is definitely no easy task. 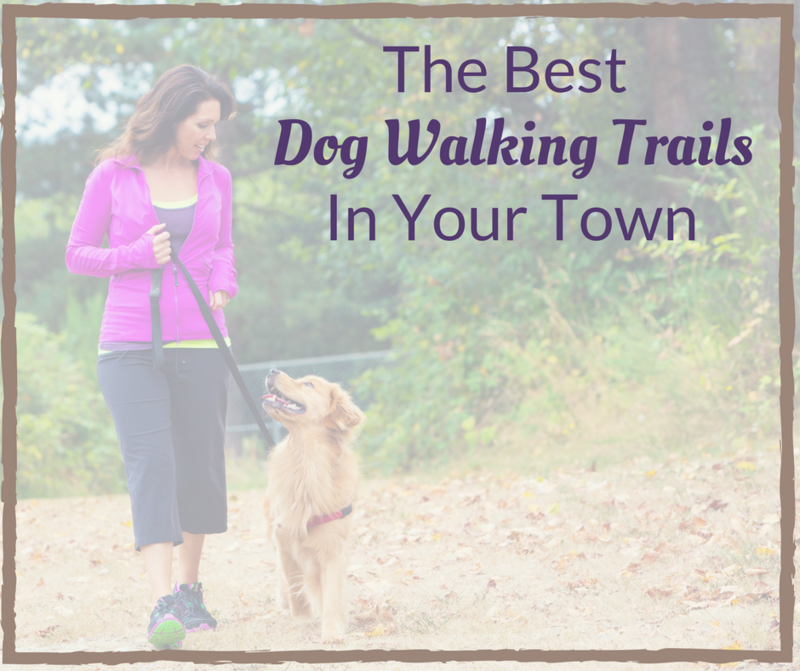 There’s a lot of problems dog walking business owners run into for sure. But I think we’ve also determined that there are a number of ways we can overcome those problems. If you still feel lost, let’s work on it together – I am here to help! I always say that as business owners, it’s up to us to wear several different “hats” so to speak. Not only are you the boss, but you’re the interviewer, payroll manager, schedule maker, and so much more. You may want to take your business to the next level. Or maybe you’re just not sure where to turn next. 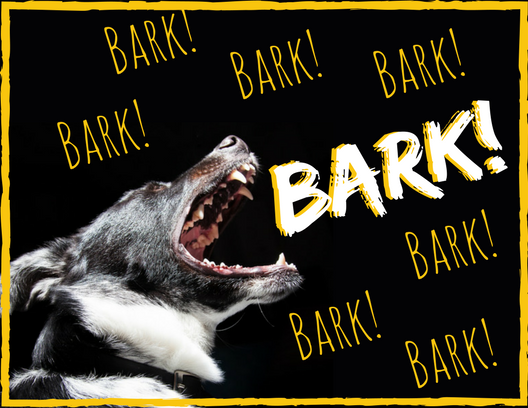 If this sounds like you, consider working with one of the industry’s dog walking business coaches. 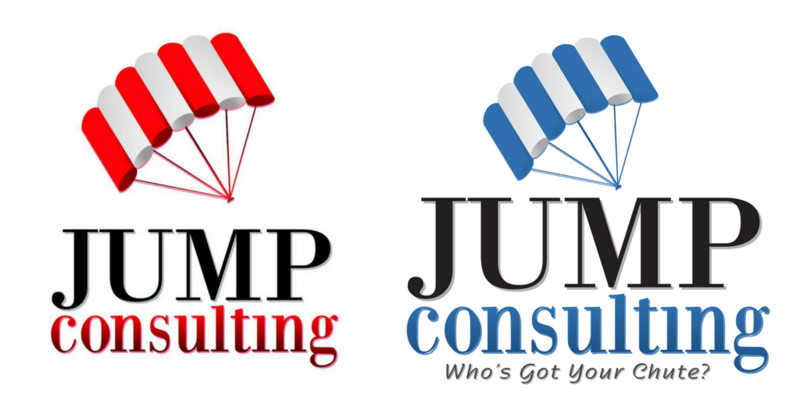 There are a few different coaches out there that are ready to help you grow your business to its full potential! 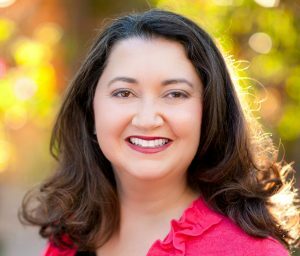 Kristin Morrison is no doubt an industry veteran. 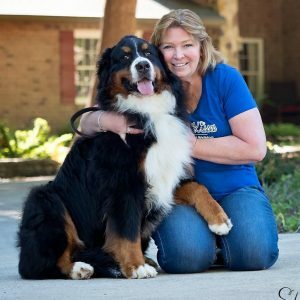 She started her pet sitting company in 1995 and began pet business coaching in 2000. Then, she sold her pet sitting business in 2013 and is now a full time business coach. 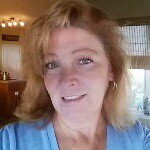 Colleen Sedgwick (a.k.a The Pet Nanny Coach) has over 14 years of experience in the pet sitting and dog walking industry. After starting her business from the ground up, she has now served over a 1,000 clients in the Philadelphia area. Hey, that’s me! After starting my pet sitting business while in college, I went full speed ahead after graduating, growing Bella’s House & Pet Sitting to be nationally and locally award winning as well as boasting with employees. 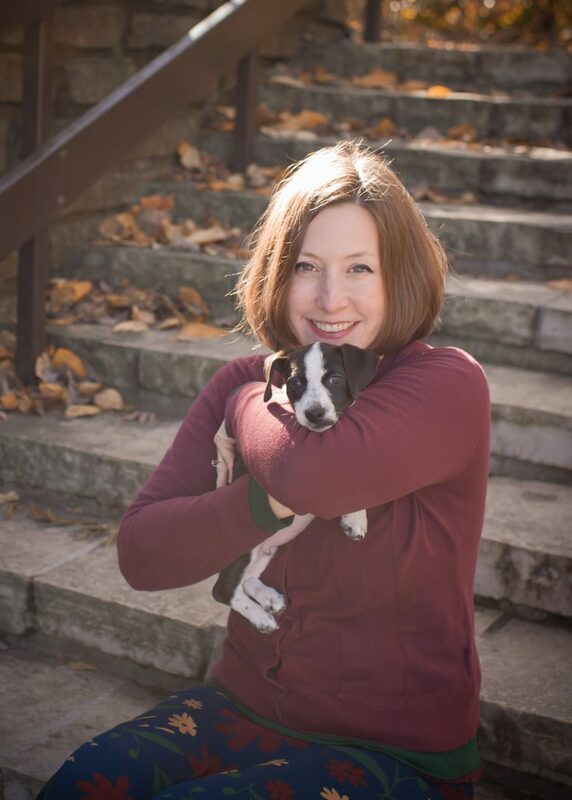 One year ago I sold my company for over six-figures, so I can spend my days inspiring and motivating pet sitting business owners, as well as being a wife and mom! 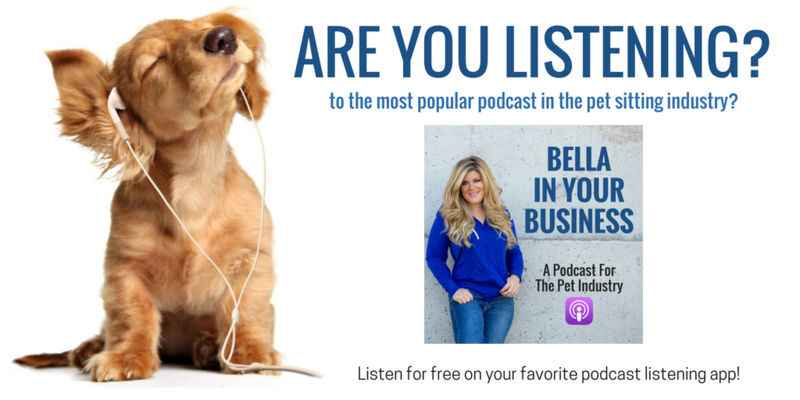 Bella In Your Business Podcast – Includes interview with state auditors, NY Times best selling authors, and top speakers on the speaking circuit! No matter which of the dog walking business coaches you choose to work with, you want to make sure you consider the problems with coaches as well as the cost of one. Ensuring that a coach “clicks” with your personality is essential to your success. Be sure to check out the free content that coaches offer so you can get a feel for if they’re the right choice for you.